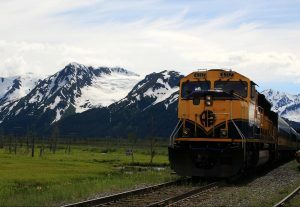 We Alaskans have a unique way to get into the backcountry, on our state-owned railroad or ferry system — two of the most fun forms of transportation around. On the next Outdoor Explorer, we’ll celebrate how the train and ferries can get families out to adventures hiking, skiing, paddling, floating and exploring in some truly exotic places. We’ll learn about the opportunities, and how you can do it with your family. This episode first aired in October of 2015 and has been edited to be replayed.